Kids love to work with their hands. But most of all they love to do all those things that normally are not allowed to do, such as to crinkle pieces of paper. Surprisingly, the following activity is suitable for both kids and adults. Especially if your are a stressed adult you might find the activity extremely relaxing. The result will be quite unexpected. You can either add color or simple work with a black pencil. 1. 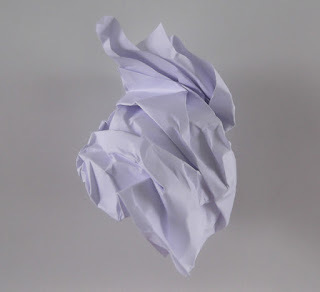 Crinkle up a piece of paper into a ball. 2. Unfold the paper. 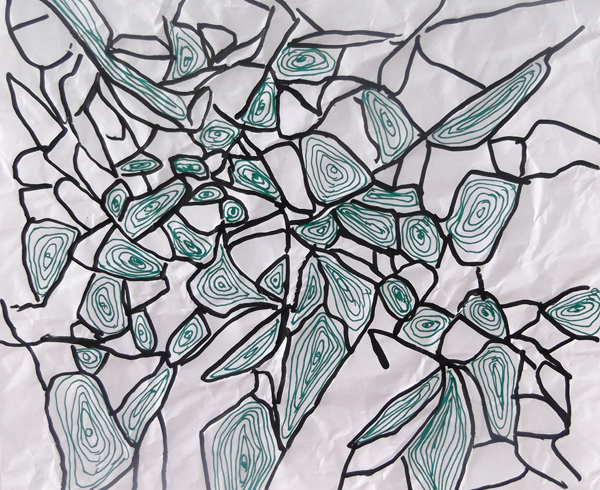 Take a black pen and trace some of the crinkled, random shapes. As you can see they are hundreds of them. Do not think too much. Instead let your instinct guide you. 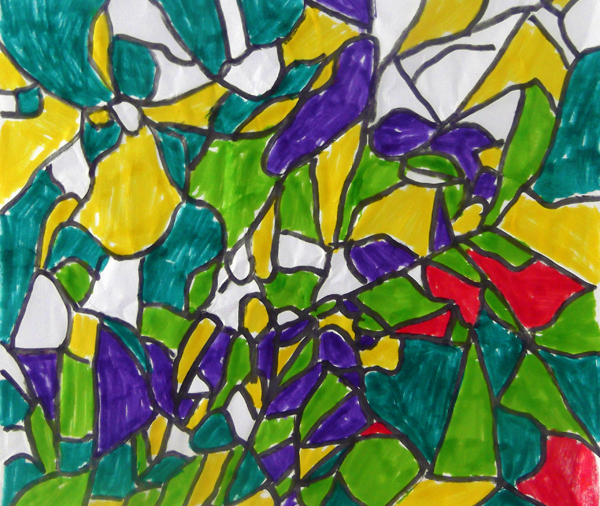 Remember that abstract expressionism, which is one of the most popular art movements of the 20th century, emphasised spontaneity and subconscious creation. 3. 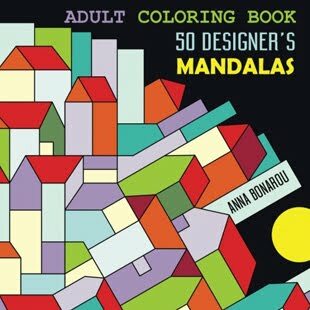 Select 4 to 5 colors and paint the shapes. However, it is not necessary to paint every shape, since white is also a color. 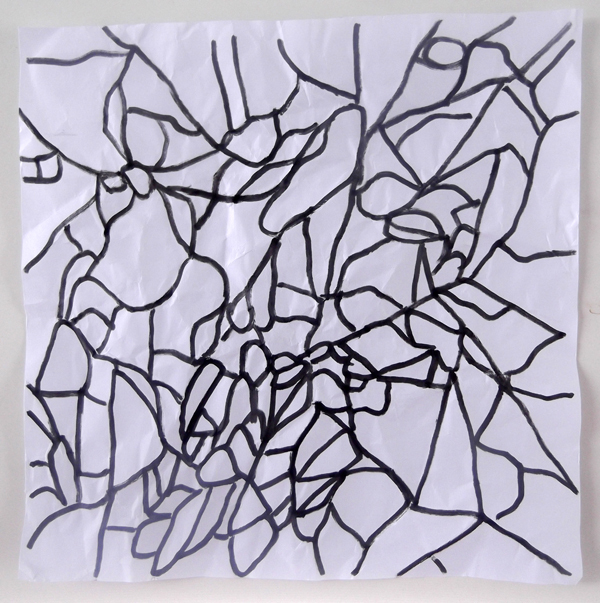 A crumbled piece of paper turned into into abstract artwork. Alternatively, you can work only with pens. 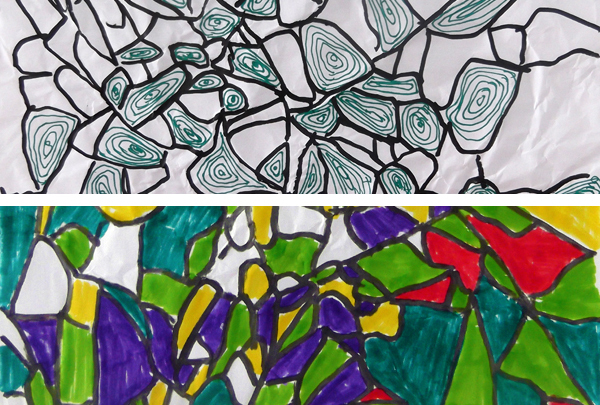 The activity is fun and relaxing, something like a doodle project. Try to do it when you are stressed and you'll see how confident and relaxed you'll feel.